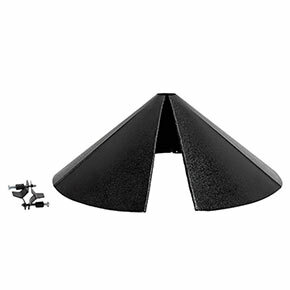 This baffle is so easy to install—you don't even have to move your feeder. 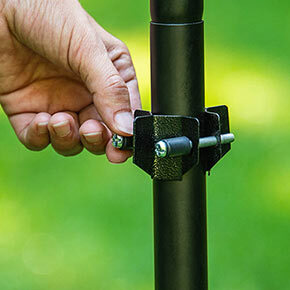 Just wrap it around the pole under your feeder and snap the open edge closed. It'll fit any pole within a ½-1?" diameter. The bracket secures the baffle around the pole. It's made of metal, so it won't be chewed through like squirrels go through plastic ones. 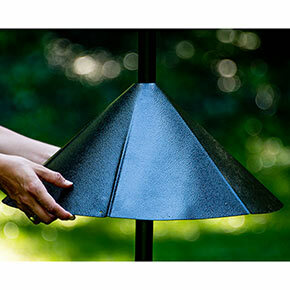 It's covered in a black powder coat finish so it can resist the elements without detracting from your garden design. Squirrels are clever and dexterous when it comes to birdseed, but a good baffle will help prevent them from reaching your birdseed. 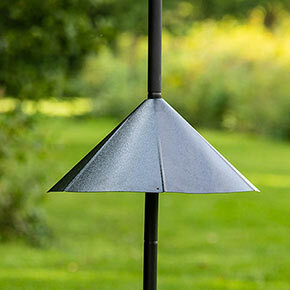 Be sure not to position your birdfeeder near trees or structures that would provide squirrels another way to the feeder. L17½"xW17½"xH7"